All the major online casinos with Microgaming software, including the multi-software portals, offer their visitors progressive slots with Progressive Jackpots. Such games are very attractive to all players, mainly because they give an incredible chance to win millions while betting just a couple of dollars (or even less!). Of course, this can happen only with great huge luck, but it still can happen. Mega Moolah is without a doubt an all-time classics. One of the most sought after games by Microgaming, dedicated to the African fauna. 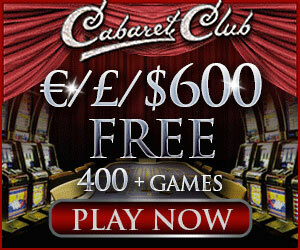 This five-reel and 25 paylines slot has the jackpot starting at one million dollars! It can be obtained during the Jackpot Wheel round, where four jackpots are being played through. There are even cases of people winning huge jackpots after betting 50 something cents. So it is hardly a surprise that this game has an incredible amount of players each day trying to get the favor of Lady Luck. This is one is a newer Microgaming game, especially if you compare it to Mega Moolah. This gaming machine is based cult comic book and the even more cult Hollywood movie, offers just four progressive jackpots: Mini, Minor, Major and Mega jackpots. The first begins with ten credits, and the latter with one million. There is a special bonus round that can be randomly triggered during any regular spin. As usual, the higher the bet in the “The Dark Knight” video slot is, the higher the chances to trigger the bonus round is.